It’s true: Everyone is a scientist. It’s just that most people don’t realise it. A scientist is someone who tackles a problem through scientific methods, and we all do! Hear me out! Think of it this way: You have connected your phone to a charger but nothing happens. You ask the question: “Why won’t my phone charge?” You then come up with some ideas as to why. “Maybe the power point doesn’t work. It could be the charger, or maybe something is wrong with my phone.” So how do you figure out which is the problem? It’s easy right, you try another power point. Still doesn’t work? Then you try another charger. Still not working? Then you connect another phone and – a-ha! – The other phone is charging, so it must be that there is something wrong with your phone (not that that’s a particularly desirable finding, but it’s a finding nonetheless). Ever been in this or a similar situation? Congratulations. You’re a scientist. What? How am I a scientist? 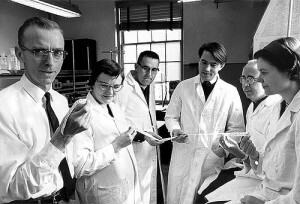 When people think of science they might picture someone with glasses in a lab coat, slaving away in a lab – endlessly pipetting as tirelessly depicted in scientist photo shoots. *By the way, when I searched flickr for an image of a ‘scientist’ – they pretty much proved my point. Even more so if you Google image it. What people tend to forget is that ‘science’ is a way of thinking. Quoting Google definition, science is “the intellectual and practical activity encompassing the systematic study of the structure and behaviour of the physical and natural world through observation and experiment.” – which is an extremely long-winded way of saying that purely – science is a systematic approach to solving a problem. Whad’ya know. So I guess science isn’t just labs and beakers. Question: Why won’t my phone charge? Hypothesis: My charger is broken. Prediction: If my charger is broken then using another charger will fix my problem. Analysis: Used another charger – phone still did not charge. Conclusion: My hypothesis was not supported – my charger is not broken. Without even realising it, people use these elements to solve problems. Whether it be “Why won’t the internet work?”, “Why won’t my pen work?” or “Why does my food keep going missing from the tearoom fridge?”, we use problem solving (science!) on a daily basis. I think a lot of people don’t realise that the scientific method is not a rigid set of rules. It can chop and change as necessary and still be scientific. See, the beauty of the scientific method is that it can loop back on itself. More often than not observations from experiments lead to new questions, or maybe the observations can lead to new, previously unconsidered hypotheses. From there you may design new experiments and so on and so forth. Okay, so I’m not denying that the questions that those who devote their life to science, might just be a little trickier, but just because we don’t all employ our scientific thinking to discover “How can we cure cancer?” or “Are there additional dimensions?” does not mean we aren’t scientists. I think that if more people realised science is not such a mysterious complicated territory, but simply a way of thinking, people may feel like they can engage with it more. So spread the love, make people realise that science isn’t such a kooky phenomenon only performed by the socially awkward brainiacs, but something to be embraced by all. Previous Previous post: Welcome to the Class of 2014! Great to hear georginao, I’m glad I could inspire! And I’m glad I have given people some tools for teaching science to children. I think one of our most important jobs is to inspire the next generation so science can carry on. Thank you ebyers for picking up the typo. Fixed! Great post Ashton! Totally agree with jrozek and vchhen that if science was taught to young children like this, in a less defined way, then there would be more budding scientist out there. This would be a great way of going about it! I really enjoyed this take on what a scientist is. I think it’s very important to use commonplace examples to illustrate the role science already plays in many people’s everyday lives. It’s also fitting that this should be the first post on our blog. What better way to ensure an audience is receptive to science than assure them they already know more than they think they do! *I just noticed a small typo, rigid is spelt as ridged in the 4th last para. Great post Ashton. 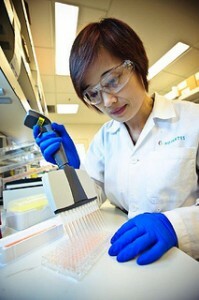 I followed through with your comment about Google Imaging “scientist”. 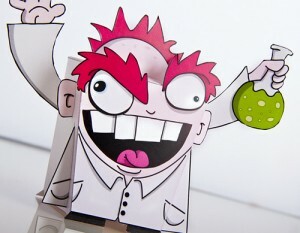 It seems crazy that pop-culture has shaped the persona of scientist to this wacky, mad professor. As you’ve said, we are all scientists! Why is the result of the Google Image search not just your average Joe Blow? Perhaps, as you stated, it’s simply our job as the next science communicators to convince humanity that science is simply a way of thinking. Or maybe it’s the job of the media too, to fix the image of scientists in today’s society. One of the best analogies that i have heard in a while! I think i really needed to read this because when I study Physics, Chemistry, Biology and whatever else I think of it as ‘training’ to become a scientist. Thinking of science in this way is very uplifting because now i think of myself as not a future scientist but as perhaps an inexperienced scientist! It got me thinking though this could potentially open a can of worms about what science actually is… the definition could become extremely broad, Which may be absolutely correct! Just a thought! Top writing! Oh wow! What a brilliant post! I never really thought of science that way so your phone analogy was simply genius! And I really agree with sentiment here that using everyday things to problem solve would be such a great way to teach kids about science and get them excited by it! Excellent teaching tool to use so nice work Ashton! Very interesting Ashton, I would have never thought about science in such a way if it weren’t for this post. I guess as young children we are all taught that science is more complicated and confusing than what it really can be. I agree with jrozek that if more children were taught about science in this way, there’d be a lot more children interested in science. Heck, it even got me more interested in science. Although I really do like wearing a lab coat.. I think if a discussion like this was part of early science education we’d have less children growing up ‘hating’ science. It might also erode the stereotype that scientists all wear labcoats and play with beakers. I love this! A great introductory post. The phone charger analogy makes it all so clear. I often hear Jenny speak about us as scientists in her seminars and it has never resonated – I’ve never felt like a scientist, aren’t I just just following my supervisor’s protocol? But by simply defining what a scientist is I have now been drawn in! I now believe I am a scientist, not just when I come to work, but also in so many other areas of life. Thanks Ashton! Thanks Alex and samsing for the comments! Excellent Alex! See what you’re doing there? You’re coming up with new hypotheses to the phone charger conundrum. True about the second charger – sometimes it’s a reality that we don’t always have the resources we desire to properly test our hypotheses. Maybe we could apply for grants to buy more phone chargers – haha. Very nice post! I totally agree. Last week I had “the phone charger experience” at home. All the lights and power points at home stopped working. Oh no!! Should I immediately call the electrician? No! I can try to do something. And yes, I unconsciously followed the scientific method. Well, long story short, after unplugging ALL the electronic devices at home, the fuse was still going off, and then I realized (analysis and conclusion) there was nothing I could do about it. The problem was the heating system. No way I could have solved that by myself. But, the scientific method helped me rule out things I could have fixed by myself, and when I called the landlord, I had already done everything he suggested over the phone, so he immediately sent the electrician to fix my problem. An interesting way of thinking about it. I think the trickiest bit can be knowing what conclusions to draw from your observations and when to draw them. In the example of testing the hypothesis that the phone charger is broken, does observing that a different phone charger also doesn’t work mean that the first one wasn’t broken, or perhaps that both of them are broken? Maybe one is broken, one isn’t, but the phone is broken too. How many chargers is a good sample size? I suppose it depends on how many friends you have with the same phone, and how desperate you are to charge your phone.